Pig iron producers should focus on raw material security to control input cost, optimise product mix to produce value added product for higher profitability, and cut production cost. 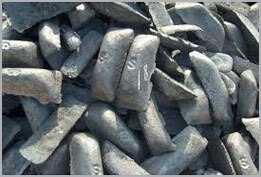 The pig iron companies are facing strong headwind due to low demand of the metal and rising prices of iron ore. There is also shortage of iron ore due to limited availability. The pig iron producers should use low grade iron ore, and iron ore fines instead of lumpy iron ore.
margin products, such as steel billets. They should also consider optimizing their product mix by producing some of pig iron (contractual already) and some steel.